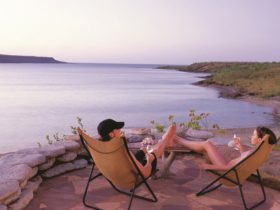 Kununurra Lakeside Resort is situated on the edge of Lake Kununurra. The three acres of lush green gardens offer a tranquil relaxing environment to stay while exploring the raw Kimberley wilderness. 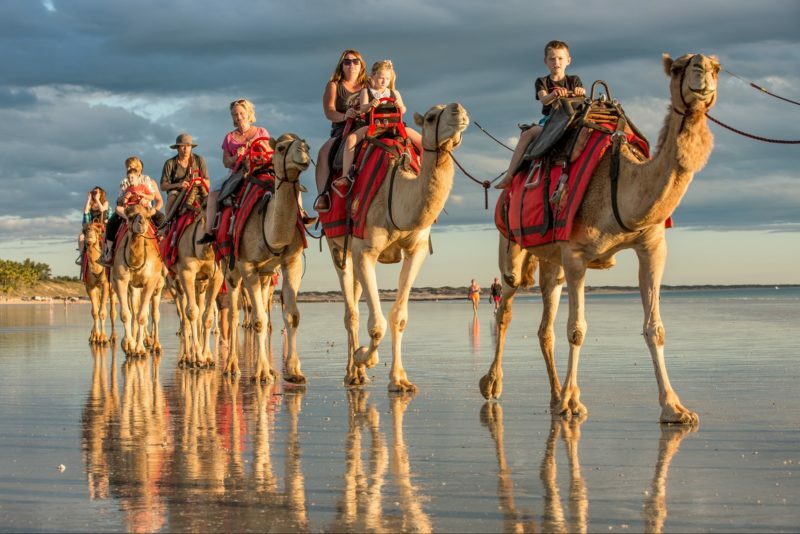 Whatever your budget or requirements, a range of accommodation from resort-style motel rooms to self-catering cabins to powered caravan sites is available. 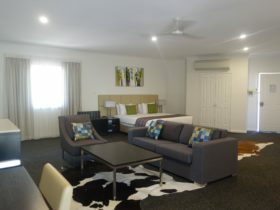 All rooms are air-conditioned and come complete with en suites, television, refrigerator and tea and coffee making facilities. The self-catering cabins have a small kitchenette. Guests can enjoy alfresco dining, under the shade of sails, overlooking the lake in the fully licensed Sails Bar and Grill which is open for breakfast, lunch and dinner. A shaded swimming pool surrounded by palm trees overlooks the lake and the resort’s private wharf is where you can connect with river tours and even feed the fish by day and spot crocodiles by night. 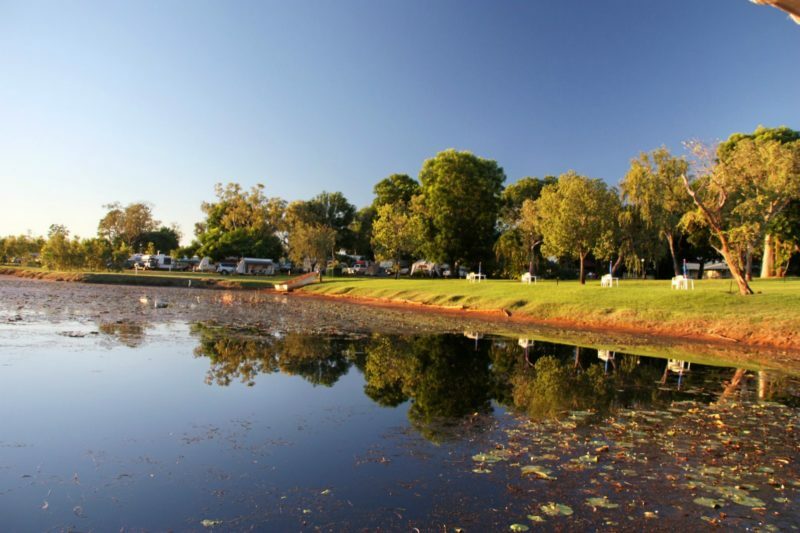 Kununurra Lakeside Resort is two kilometres from the town centre and provides a courtesy coach for town runs and complimentary airport transfers. 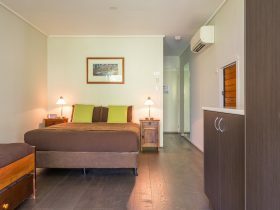 The motel room facilities include: en suite, air-conditioning, television, linen, tea and coffee making facilities and refrigerator. They are serviced daily. Some rooms have lake views and settees. Room bedding configurations are either a queen or a queen with a single. 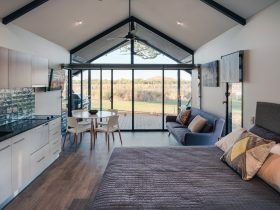 The self-catering room facilities include: en suite, air-conditioning, television, linen, tea and coffee making facilities, refrigerator and a small kitchenette which contains: table, microwave, electric frypan, private barbeque and cooking utensils. There is a limited service during stay. Room bedding configurations are either a queen or a queen with a single.